I have been posting several blogs in which branches were used for various decoration purposes (such as branch bannisters, a branch hanger, a branch as wall decoration) . 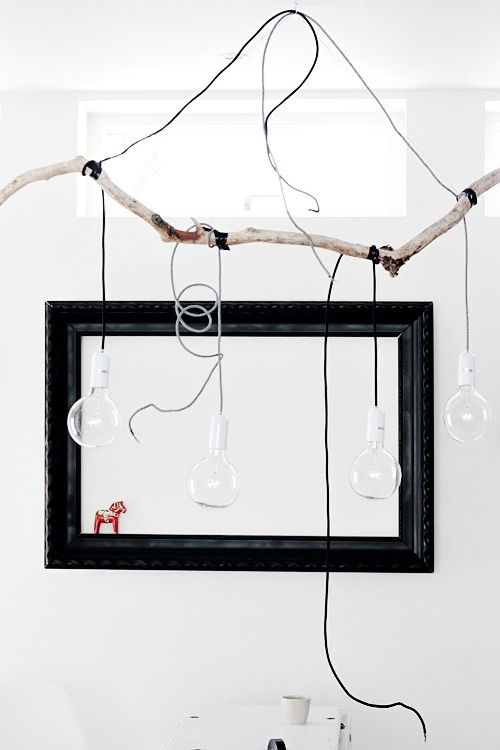 This branch pendant that was featured on decor8 fits really well in this series of posts. 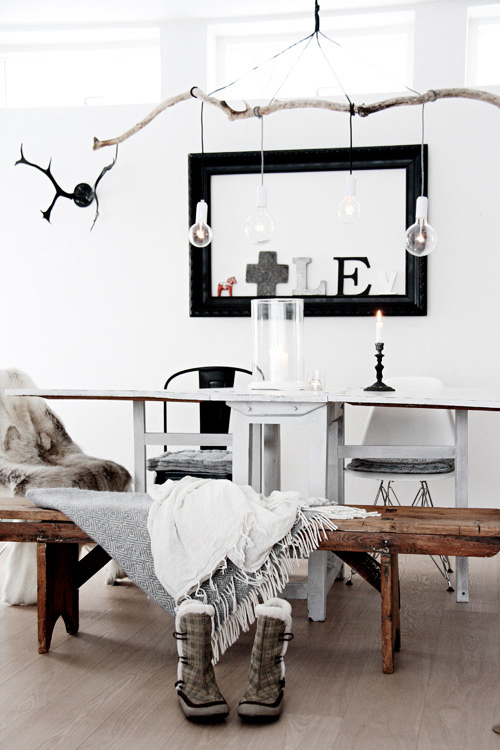 The beautiful pendant was created by Anna-Malin Lindgren, you can read how she made it here. Looks amazing, I love lights that’s a little different than usual. Such a great idea, and it looks amazing! A little bit off topic… but those boots are cute!